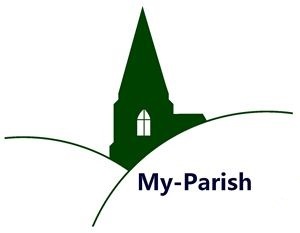 My-Parish is an online resource for everyone interested in parishes, from the Middle Ages to the present, in the British Isles, continental Europe and beyond. Set up by the Warwick Network for Parish Research founded in 2003, it serves as a platform to exchange ideas, showcase projects, launch initiatives, advertise events, solicit collaborations and find materials on parish history, art, heritage and culture. On these pages, the Network offers open access to a vast range of primary, secondary and digital RESOURCES in several languages alongside records of its annual SYMPOSIA and a calendar of other EVENTS. Most importantly, we feature content provided by members: alerts & announcements (under NEWS), longer - often illustrated - pieces on specific themes, issues or sources (POSTS), research tools like databases (PROJECTS) and full essays or theses (TEXTS). For free membership, without any obligations, just send your full name, location/institution, email address and homepage url (if any) to my-parish@warwick.ac.uk. After registration (as an individual or group), you will appear on our network list and be able to advertise initiatives, make contributions and connect with other members – as explained on the FAQ page. Beat Kümin (network co-ordinator) or Joe Chick (webmaster). !!! 2019 Symposium - Registration closing 30/4 !! !